We've often said that we are no great fans of international qualifiers & friendlies (the major tournaments are great of course) so again we'll take the opportunity to try to find some value bet this weekend from the English lower leagues. We've now got plenty of form for this season available & most teams should have played a range of opponents of varying quality & styles, we're trying to make the most of this little bit of knowledge to make the most of somewhat static pricing up by the bookies. Sheffield United are one of three still unbeaten sides in League One & host a mediocre Oldham side at Bramall Lane this Saturday. United have been pretty solid but haven't really scored as many as they would like & have ended up having to settle for too many draws, 6 from their 11 games - they've only conceded more than one goal once in the league this year in a 5-3 shootout with Bournemouth at the beginning of September. Nick Blackman, their young signing from Blackburn has been their most prolific scorer with 4 league goals but no other player has managed more than two, including Dave Kitson who is trying to secure an extension to his contract which runs through to the end of December. Not scoring enough goals has also been Oldham's problem with just 10 in 10 & their top scorer, Matt Derbyshire, with three is also an ex-Blackburn player, they've also been pretty steady at the back but where Sheffield United have gained draws they have instead fallen to losses explaining the 9 point gap between the two sides. Jean-Yves Mvoto has been a rock at the back for the Latics & you can see why he was on the books at PSG & Sunderland for some time. 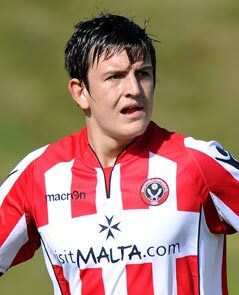 Harry Maguire would be the Blades' equivalent player & the 19 year old centre back surely has a top flight future if he continues to improve. With just 20 goals in Oldham's ten games & 24 in Sheffield United's 11 (inflated because of the 8 goals in the aforementioned Bournemouth game) it seems odd that under 2.5 goals is a bigger price than overs & should be taken in what could be an edgy little encounter. Sheffield United may just edge this but it will likely be close so taking 1-0 at 6/1 could be a value bet as three of their games have already ended up with the same scoreline in their favour. Down in League Two, Rochdale host Morecambe at Spotland. 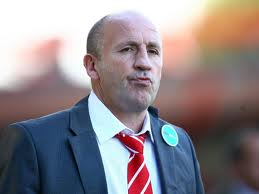 Rochdale currently sit in 5th spot with 19 points whilst Morecambe are a lowly 17th place after eleven league games. Rochdale had a poor start to the season & only collected five points from their opening five league fixtures including defeats to Torquay & Burton. Since then manager John Coleman has rallied the troops & embarked in the league a six match unbeaten run. They have won four of these matches with the latest coming last weekend in a 3-2 victory away to Accrington Stanley. Unfortunately striker Bobby Grant is still suspended for this one after his reckless dismissal against Bradford but they still have a potent strike force in the evergreen Dele Adebola & Ashley Grimes who have bagged seven goals between them. Morecambe have been inconsistent all season with five defeats & only three victories in their eleven games so far, they have picked up four points in their last two games but these have both come at home & that's after four defeats from five. In their last two games on the road Morecambe have come away empty handed after resounding defeats were inflicted by Bradford City (3-1) & Cheltenham Town (2-0). We expect Rochdale to continue their fine form at the expense of an inconsistent Morecambe side at the best price of evens with William Hill.